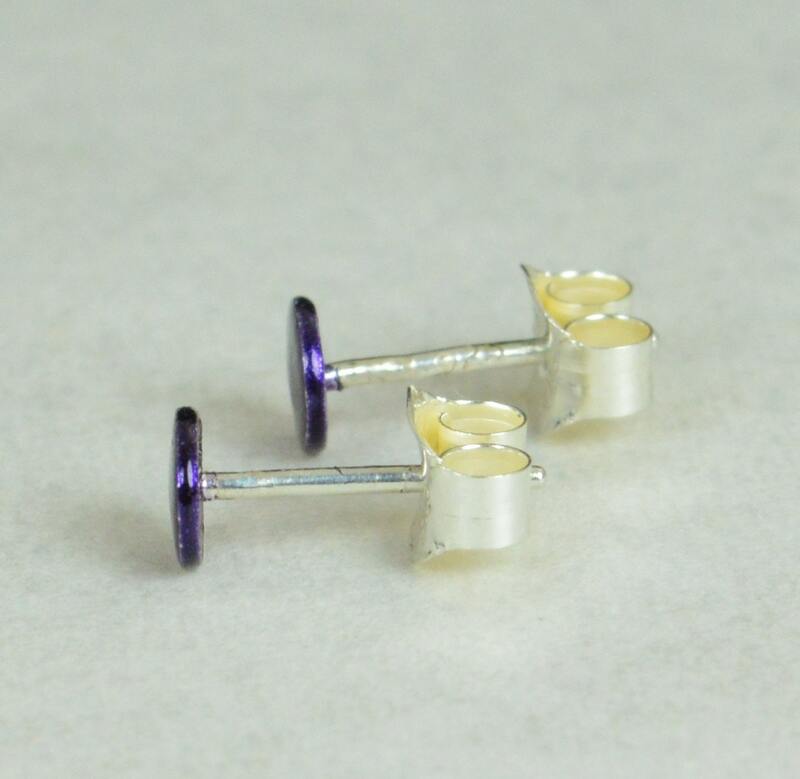 These simple sterling silver earrings coated in a purple nano-ceramic. 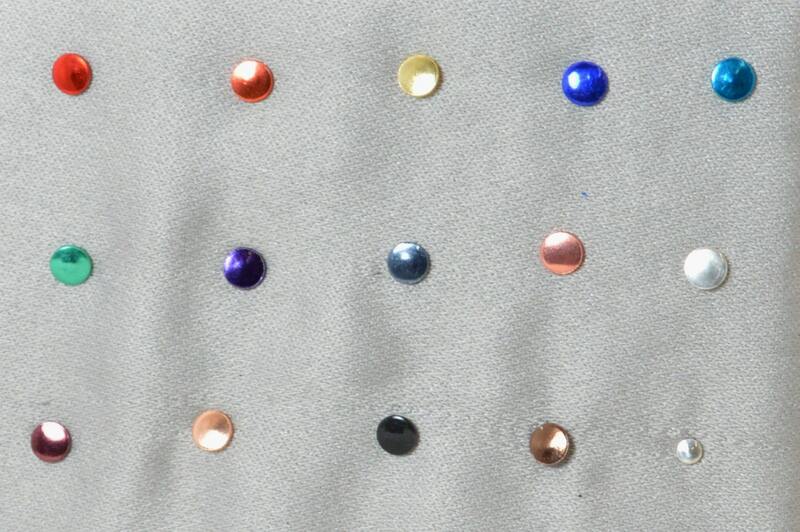 These sterling silver studs are my second smallest dot earring and are easy wearing, unisex, and classic. 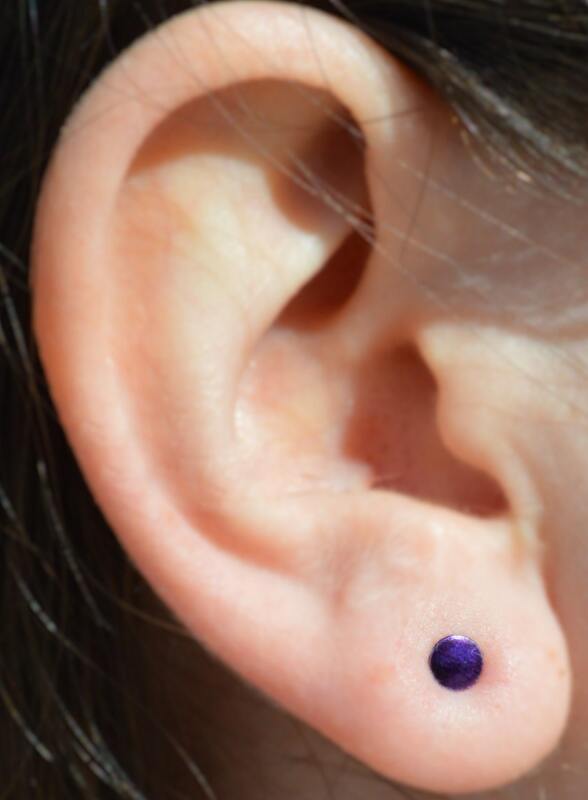 I love this shop and these earrings. This is my 4th or 5th order and as always they are beautiful.